We offer a large range of magnificent and luxurious private villas, most of which are absolute beach-front properties, with exotic pools and surrounded by tropical gardens that offer a spectacular and totally private environment for your wedding in Bali. A wedding ceremony and celebration in a private villa allows you guaranteed privacy, deluxe accommodation & facilities, and top quality services from the moment you arrive until the moment you leave. When holding an event in the grounds of a private villa, everything needs to be brought into the venue, making the event more complicated to organize and co-ordinate. We need to bring in tenting for the caterers, venue decorations, all food & beverages, sound & lighting equipment and a gen set to provide a remote power supply. Villa management will usually charge a Function Fee, a Banjar Fee payable to the local community and a refundable Security Bond. Minimum stay requirements will be applied, the length of which depends on the season but the cost of accommodation isn't as much as you'd think when you consider that the main wedding party would be able to stay there and contribute to the rental costs. We can accommodate the other guests at nearby properties. A sampling from our private villa wedding portfolio is listed below. If any of these venues are of interest to you or if you have any other property in mind, please let us know and we'd be happy to confirm cost and availability. The Phalosa is a spacious and private beach-front event villa, consisting of four-bedrooms and three private pools. The Phalosa is located close to Petitenget village and is minutes away from a wide choic of internationally acclaimed restaurants and entertainment venues. 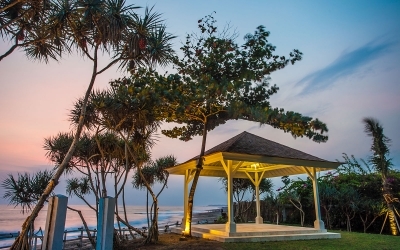 One of Bali's most popular event villa spaces and located right on the beach, Villa Atas Ombak can accommodate anything from small, intimate groups to larger eventsof 150 guests (seating) or 200 guests (standing). Up to 16 guests can be accommodated in Villa Asta's five bedrooms. Villa Asta is located close to The Canggu Club, a ten minute walk from the beach and a few minutes drive from the restaurants and night spots of Petitenget. Villa Puri Sienna is a four-bedroom villa set wihin 2000 metres of lush tropical vegetation. The villa is located at the end of a quiet Gang, yet close to Bintang Supermarket and all the night-life that Jalan Seminyak has to offer. The extensive gardens of Arsana Estate allow groups of up to 60 seated guests to be indulged around the pool. An elevated terrace can be used for Balinese dance performances and parties. Offering a quiet village environment close to the beach in Canggu, Bendega Villas can be rented as either a three bedroom or nine bedroom property. Wedding receptions with up to 70 seated guests can be hosted when both Bendega Nui and Bendega Rato are rented together. 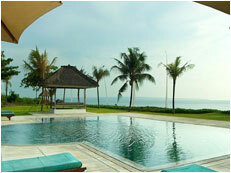 Pantai Lima Estate is a collection of luxury villas set in rice fields and located right on the beach at Pererenan. Recommended villas include Villa Waringin, Villa Melissa (see below), Villa Mary, Villa Ambra and Villa Sound Of The Sea, all of which have been expressly designed to host weddings and other events. Pure Villa is a luxury, six-bedroom villa set in traquil surroundings, yet only 15 minutes from Seminyak and 5 minutes from Brawa Beach. Evenys with up to 100 guests can be hosted. 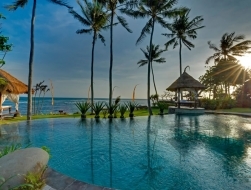 Semara Beach House (formerly Villa Gajah Putih) is a large and luxurious, eight-bedroom estate occupying four acres of beach-front land. The villa is capable of hosting both intimate weddings and large social events. Their extensive grounds can accommodate over 300 guests. 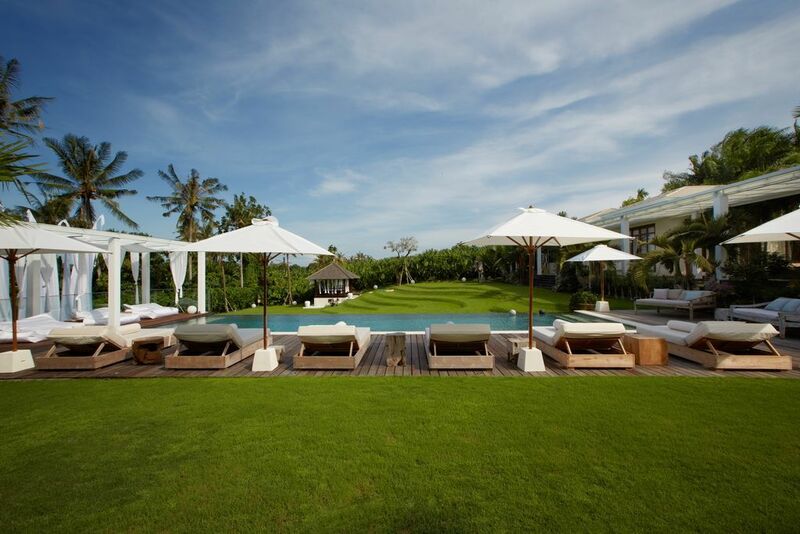 Taman Ahimsa is a seven-bedroom oceanfront villa in Canggu, approximately 15km from Seminyak. 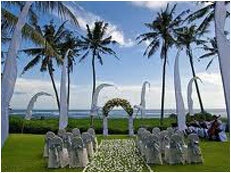 Their beach-front gardens can host weddings with up to 80 guests (seated) and 100 guests (standing). Villa Asante is a contemporary four-bedroom pool villa located 200 metres from Echo Beach and set within walled gardens. The venue features four pavilions surrounding a 20 metre lap pool. An excellent venue for small weddings. 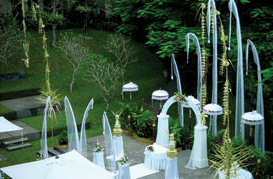 Apart from their villa wedding facilities, Villa Infinity also has its own wedding chapel. Villa facilities include pool, media room, living and dining pavilions and a professional kitchen. 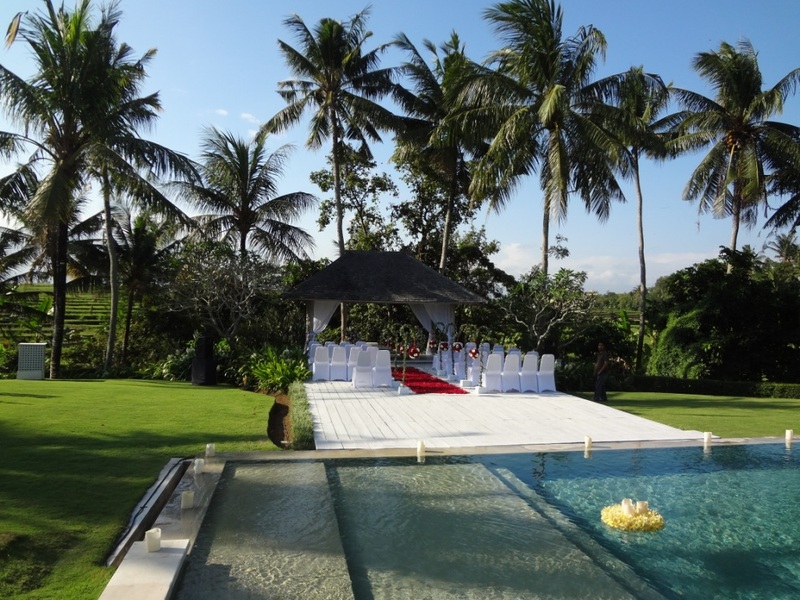 Villa Kailasha can accommodate 100 seated wedding guests, with their extensive lawned areas well suited to Balinese dance performances and parties. Six guests can be accommodated in separate pavilions within the villa complex. Part of the Pantai Lima Estate, Villa Melissa is set next to a volcanic beach, literally a stone's throw from the ocean. Floor space is more than 800 square metres, plus a 2,500 square metre pool. Up to 40 guests can be hosted at a sit-down reception. 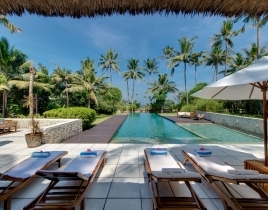 Villa Ombak Luwung is a completely private and self-contained five-bedroom villa right on Canggu Beach. Weddings and events can be arranged, from small weddings to large, catered events. 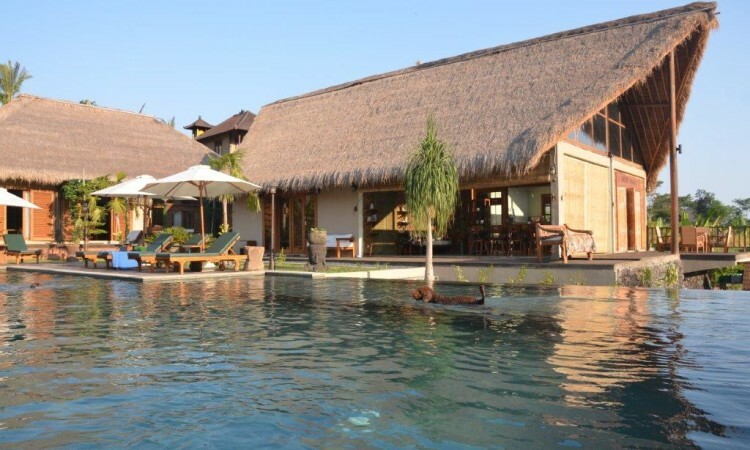 Puri Bawana boasts five bedrooms and a 30 metre pool, set on almost 2 acres of land surrounded by rice fields and within walking distance of Canggu Beach. Weddings with up to 50 guests (seated) and 100 guests (standing) can be hosted. Villa Shalimar is a recommended venue for weddings, with facilities to cater for up to 150 guests, along with accommodation of 12-bedrooms in three separate villas. Extensive lawns, towering coconut palms and located right on the beach. Villa Sungai Tinggi presents the perfect setting for a weddings, with extensive lawns and a beach-front location. The four-bedroom villa can host weddings with up to 40 guests (seated) and 60 guests (standing). Villa Teresa is a five-bedroom, two villa property set within a coconut grove and a short stroll away from Echo Beach. 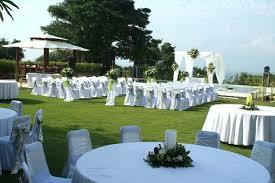 Their expansive lawns can host wedding receptions with up to 100 guests (seated) and 150 guests (standing). 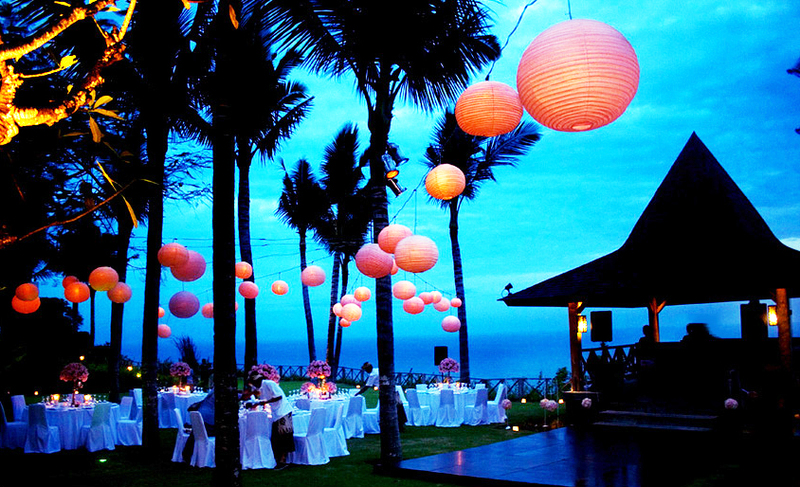 With its spectacular location, wedding pergola, luxury accommodation, magical pool and spacious grounds, Villa The Sanctuary Bali is one of Asia's most wanted luxury destinations for weddings and events. Weddings with up to 300 guests can be hosted. Wedding venue options include their cliff-top cabana (max. 80 guests), The Pavilion (max. 100 guests) and a three-bedroom cliff-top pool villa that sleeps six guests that has a lawn that can host weddings with up to 60 guests. Set in sprawling lawns that overlook the ocean. 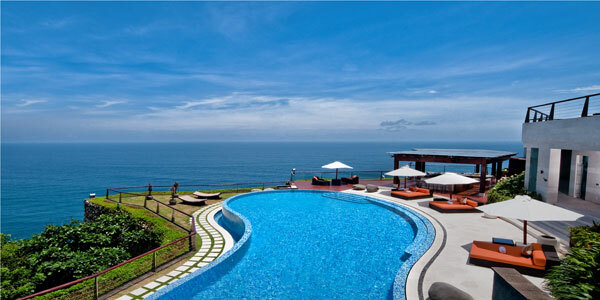 The Ungasan Clifftop Resort is perched high above the Indian Ocean on the limestone cliffs of Uluwatu. Wedding capacities vary between villas. Sunday's Beach Bar and their private beach are also available for events. 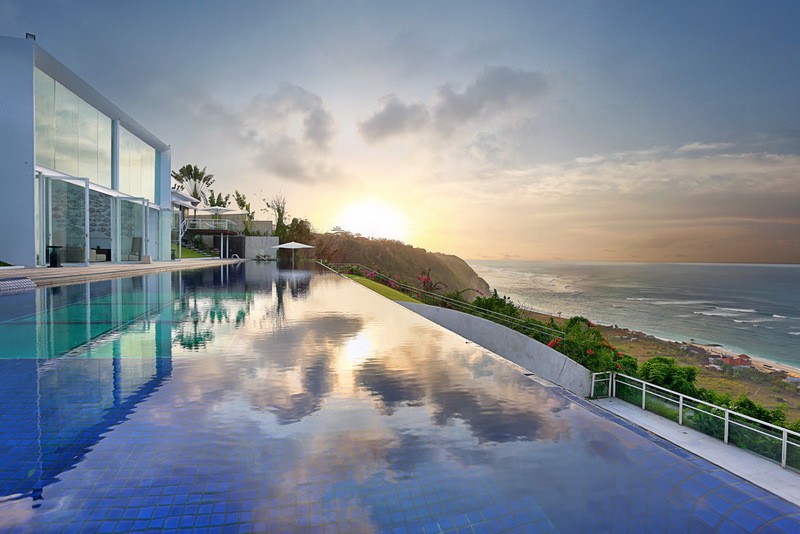 The Edge is an exclusive private event villa located on the edge of a cliff. The venue includes three villas spread over an area of 1.5 hectares with spa, pool, gymnasium, wine cellar and theatre room. 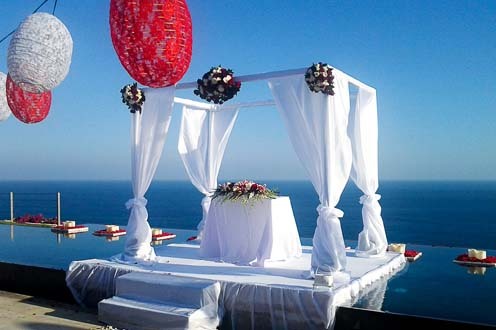 Stunning cliff-top private villa wedding venue overlooking the Indian Ocean. The Istana is available for wedding events with up to 100 guests (seated) or 150 guests (standing). 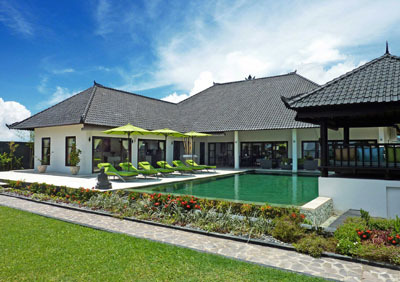 The Istana is a beautiful five-bedroom villa. 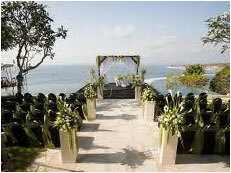 The Sanctus is a popular cliff-top wedding villa located on the southern tip of the Bukit Penninsula. Venues include a floating chapel and cliff-top deck function areas. Villa Bayuh Sabbha is a five-bedroom event villa that's perched on a cliff 50 metres above the Indian Ocean. Facilities include two private swimming pools, a wedding pavilion right on the cliff edge and spacious gardens. This modern, seven-bedroom Balinese villa sits atop a cliff on the Bukit Peninsula and offers wide open spaces and sweeping ocean views. It's manicured lawns make it an excellent venue for weddings and other celebrations. Villa Latitude is a private villa venue set amidst iconic architecture, perfect panoramas and ocean vistas. Large wedding ceremonies and receptions can be catered for on separate manicured lawns and decking levels within the venue. Villa Permutih is set in tropical gardens perched high on a cliff edge overlooking a white sand beach with access via a stairway, and the Indian Ocean. The cliff-top lawn makes an excellent venue for a sunset wedding ceremony. 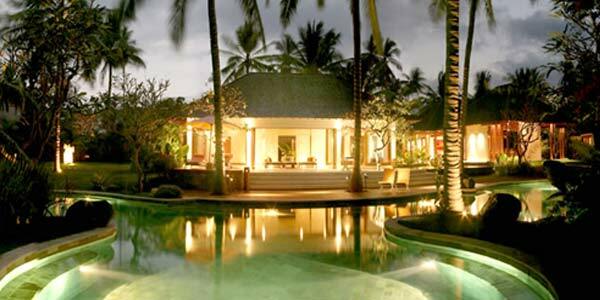 The Longhouse is a six-bedroom private event villa in Jimbaran Bay. Facilities include pool, spa, gymnasium and private theatre. 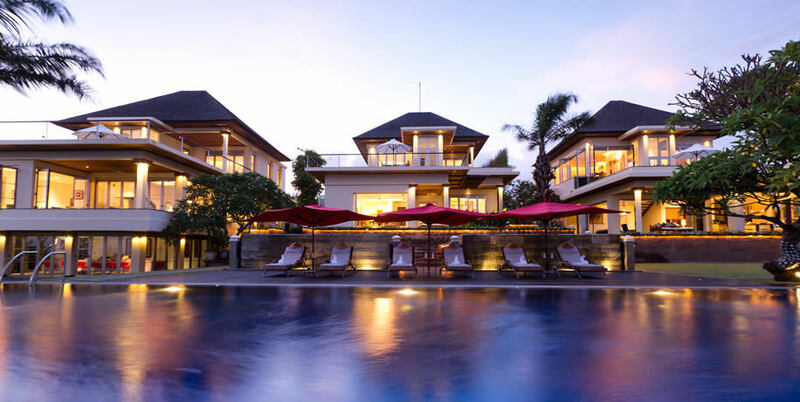 The Heavenly Residence cosists of three luxury four-bedroom event villas at The Asmara Estate, located right on the water-front just west of Nusa Dua. Each villa includes theatre room and infinity lap pool. 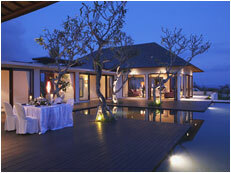 The Shanti Residence is a private, five-bedroom event villa located on the south side of Nusa Dua. Villa facilities include pool, gymnasium and theatre / audio room. Villa Kayumanis Nusa Dua is an enclave of luxury pavilions consisting of four luxury properties than can accommodate up to 14 guests. Private dining is offered and the venue has its own Beach Club. Anapuri Villas, located on Pabean Beach, approximately 15 minutes from Sanur, is a particular favourite of ours.It's located right by the sea and offers fabulous views of Mt Agung and Nusa Lembongan. 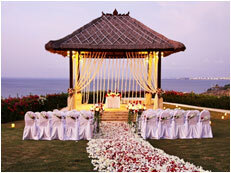 Offering four stand-alone villas, Anapuri Villas offer a beautiful environment for weddings and events in Bali. Majapahit Beach Villas are located at Pabean Beach in the village of Ketewel, 13km north of Sanur and consist of 2 x three-bedroom villas and 1 x four-bedroom villa. Weddings for up to 100 guests can be hosted. 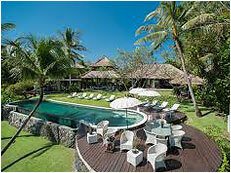 The Sanur Residence is located in a rural setting 100m from Padang Galak Beach and 4km north of Sanur. 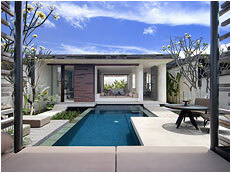 The property consists of three separate 3-bedroom villas that are modern takes on a traditional Balinese villa. Weddings with up to 100 guests can be hosted. 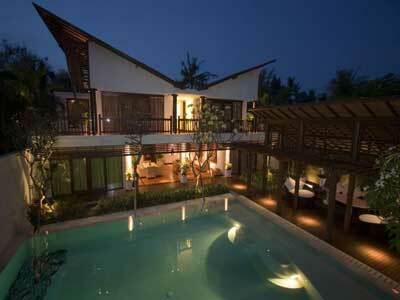 Villa Casis is a privately owned luxurious six-bedroom villa situated in a peaceful area of Sanur. The villa is located 200m for the beach. Villa Casis is popular for small, intimate weddings that have guest lists of up to 30 guests. 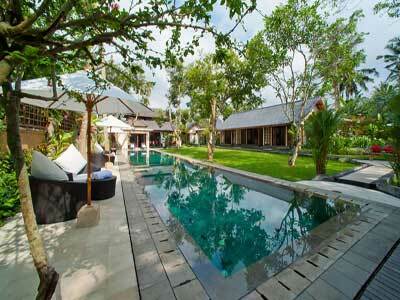 Villa Cemara is in an idyllic location at the southerm end of the Sanur strip. The villa sits right on the boardwalk with direct access to the beach. 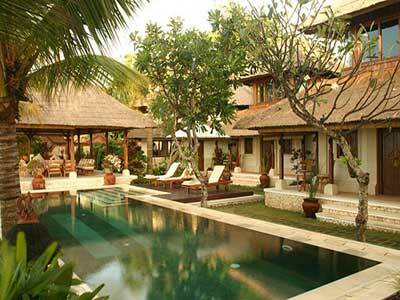 The villa has four-bedrooms and a maximum seating capacity for a wedding of 50 guests. Villa Leha Leha is a private four-bedroom villa located in a rural setting five-minutes walk from Sindhu Beach in Sanur, East Bali. Villa Leha Leha is ideal for small weddings with up to 20 guests. Villa Pushpapuri is a superbly located four-bedroom private villa located on a beach at Ketewel, a stone's throw from Sanur. 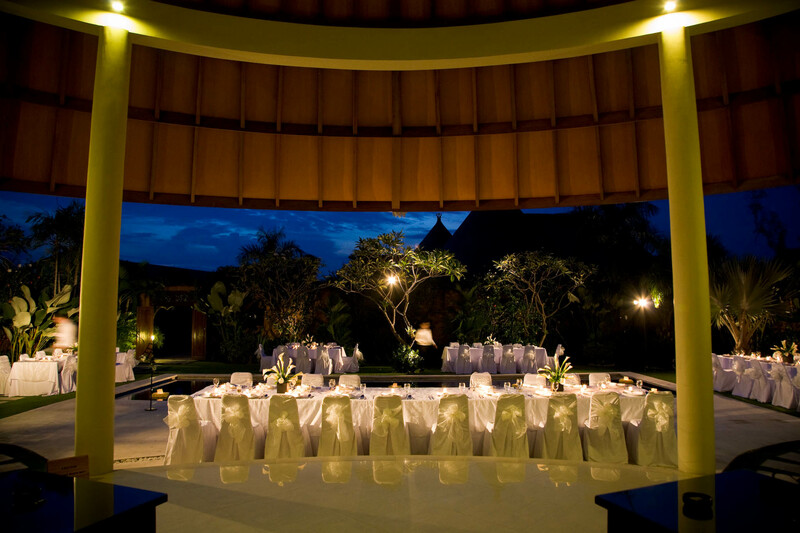 Villa Pushpapuri can host weddings and other events with a maximum of 70 guests (seated) or 100 guests (standing). Located on the beach in Ketewel with panoramic coastal and island views, Villa Ylang Ylang is a contemporary styled, six-bedroom villa that can host weddings with up to 70 guests. Kayumanis Ubud Villas & Spa is an intimate hideaway nested amongst cinnamon trees and located in the heart of Ubud. 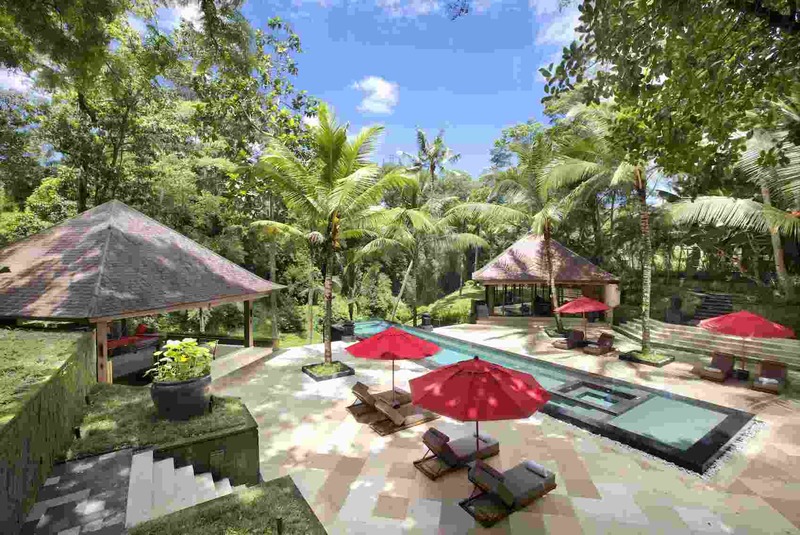 The property features 23 themed villas that overlook a tropical forest and the Ayung River. 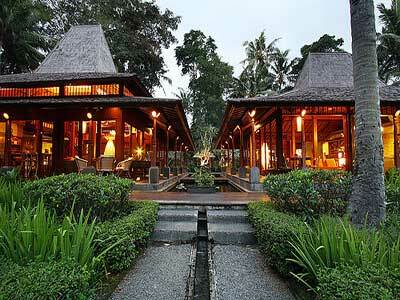 Pita Maha Ubud encompasses 24 private villas that are built in the Balinese style reminiscent of a Balinese village. The property is set on a hill-side overlooking the Tjampuhan Valley with great views of lush forests and river gorges. Villa Bali Gita is a superb, luxuriously appointed five-bedroom private villa set in a hectare of tropical gardens with a swimming pool, tennis court and soothing fountains. Wedding parties of up to 50 guests can be hosted. Villa Kirana offers elements of a Malay house, a balinese bale and a baronial guest house in Dutch colonial times. 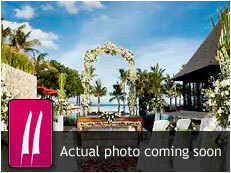 Offering five bedrooms, the villa has a maximum wedding capacity of 100 guests. Located just 300m from Ubud's Royal Palace, Villa San is a private 6-bedroom villa nestled around a lap pool and set in tropical gardens with a tranquil meditation terrace. 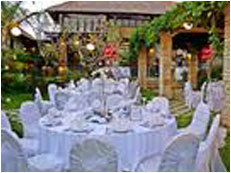 Villa San can host weddings with up to 50 guests. 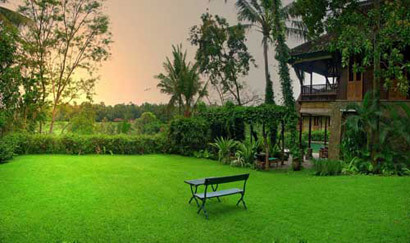 Villa Tupai is set in tranquil surroundings approximately 15-minutes from central Ubud. A quiet oasis yet only a short drive from all that Ubud has to offer. 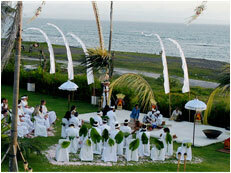 Villa Tupai is fully staffed and weddings with up to 80 guests can be hosted. Perched high in the mountains to the north of Ubud, Villa Uma is a two-bedroom villa built in a contemporary modern Balinese style whilst maintaining a taste of Asian flair. Villa Uma is an excellent choice for those seeking a private , intimate wedding. Located on the slopes of Mt Agung and set amongst the rural beauty of East Bali, Villa Sing Ken Ken offers an authentic Balinese experience. 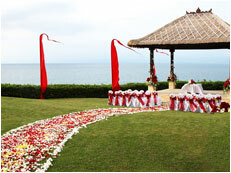 This villa makes an excellent choice for those seeking a smaller, but very traditional Balinese wedding. Four-bedroom Villa Asada, located in Manggis, near Candi Dasa in East Bali is blessed with one of the most spectacular coastline views on the island. The venue can host up to 50 seated guests or 100 guests at a stand-up cocktail reception. 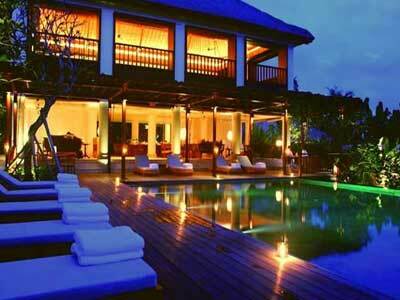 The three-bedroom Villa Nujum is set between the azure waters of the Bali Sea and rice paddies in North Bali. 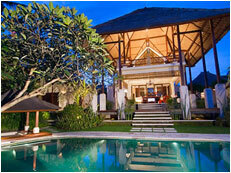 The property includes a swimming pool, large sun terrace and two bale bengongs. Ideal for small, intimate and private weddings. The Anandita is set amongst coconut palms on a beach at the tip of the Tanjung Penninsula, overlooking the Gili Islands. The property consists of four separate one-bedroom pavilions. Weddings with up to 100 guests can be hosted, seated or standing. The five-bedroom Villa Sapi is bordered by the almost deserted Sira Beach, against a backdrop of soothing seas, soaring peaks and sensational sunsets. 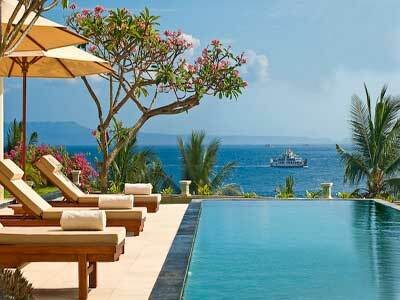 Villa Sapi is secluded but by no means isolated. Villa Sepoi Sepoi is a luxurious six-bedroom villa which is set in lush gardens bordering a white sand beach and the blue waters of the Lombok Straits on the north west coast of Lombok. Weddings with up to 100 guests can be hosted, either seated or standing.